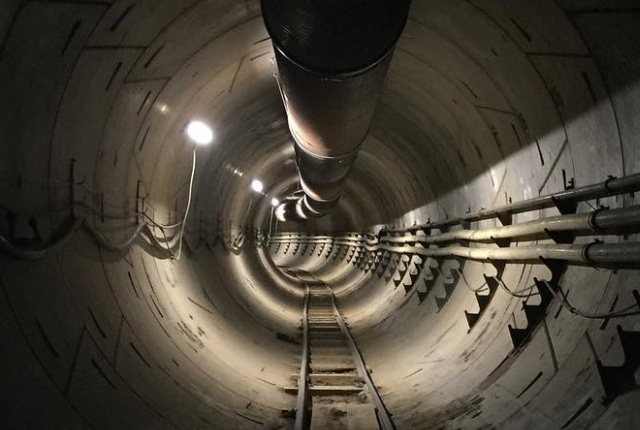 Speaking at The Boring Company Information Session in Los Angeles, Elon Musk and project lead Steve Davis introduced their concept for public transport through the company’s tunnels underneath the city. Musk said the company’s in-city Loop system aims to bypass traffic congestion by offering $1 rides in electric passenger pods through its tunnel network. The pods will be able to carry 16 passengers at a time and will be accessible from street level. Pods travelling within the Loop can reach speeds of up to 241km/h without any traffic slowdown, improving travel times across the city. Musk has stated that The Boring Company will initially prioritise pedestrian and cyclist transportation over cars.